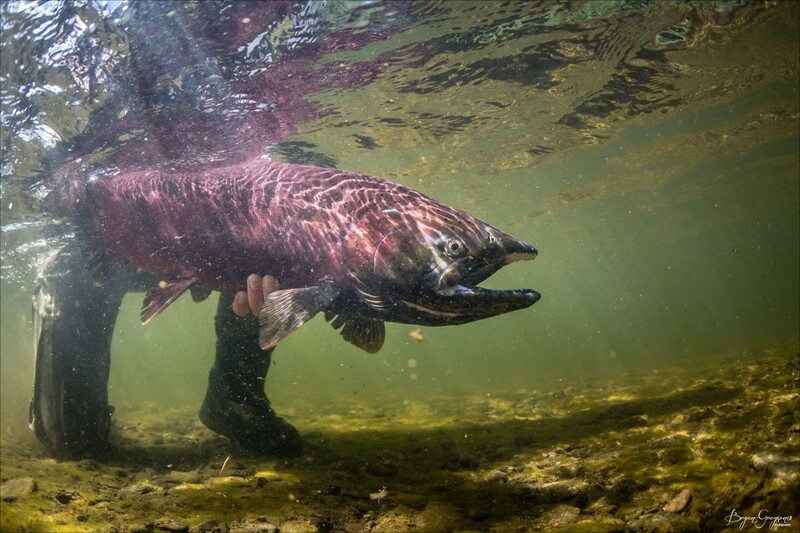 Chinook Salmon (or King Salmon) in full colors is a beautiful sight to see. These fish have only one job: to travel back to spawn and to die. They unselfishly and willingly give up their life so the next generations can survive and the ecosystem can utilize its decaying body to gain nutrients. The cycle of life, it is so fragile.